The Samsung unveiled its second smart-watch, the Samsung Galaxy Gear 2 on February 22, 2014. 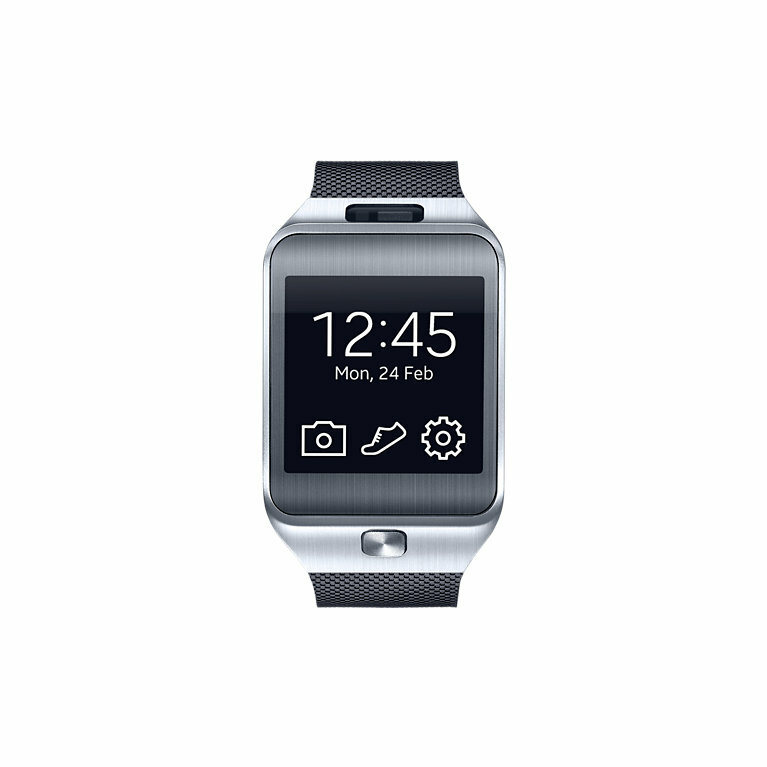 The Samsung Galaxy Gear 2 line is a successor to the Samsung Galaxy Gear, which was launched in the year 2013. If compared to the Samsung Galaxy Gear, the most significant change made to the Galaxy Gear 2 line is its operating system, from Android to the Samsung-developed Tizen operating system. The Samsung Galaxy Gear 2 also has improved functions, enhanced battery life and a fresh design. The Samsung Galaxy Gear 2 comes in various vibrant colours which may add grace and charm to your looks. The changeable straps give you a chance to play with your style according to your mood and surroundings. The Samsung Galaxy Gear 2 helps you communicate smoothly and easily. It helps you in making and receiving calls, checking messages, and viewing notifications directly on the large Super AMOLED screen of the Galaxy Gear 2. With the Samsung Galaxy Gear 2, you can enjoy the music wherever you go. The new standalone music player of the Galaxy Gear 2 ensures you get the best music experience just like your Samsung smartphone. You can click a high quality, crisp and clear pictures with the FHD still shot and record all the memorable moments with its 720p video recording. With the IrLED and WatchON Remote features in the Galaxy Gear 2, you can now connect and control your Samsung TV or set-top box with the device. The Samsung Galaxy Gear 2 can be your very own personal fitness trainer. With the built-in heart rate sensor and a pedometer, the Samsung Galaxy Gear 2 helps you in pursuing your fitness goals by providing you the detailed stats of your workout activity. 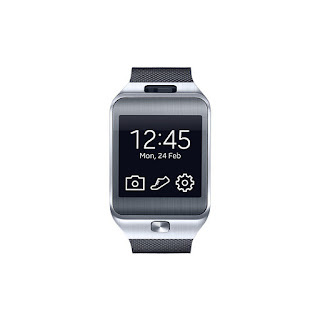 The Samsung Galaxy Gear 2 is compatible with around 17 types of device, i.e. Galaxy Smartphones and tablets. And, more than 200 apps are available with the Galaxy Gear. So, now you can enjoy a wide range of popular apps with the Galaxy Gear 2. The water and dust protection feature totally protected the device against the effect of dust and water. Now you can enjoy all your outdoor activities without worrying about damaging your smartwatch. The Samsung Galaxy Gear 2 is an improved version of the Galaxy Gear with new design, changeable watch straps, improved functions and enhanced battery life. It will be the star of your wardrobe.